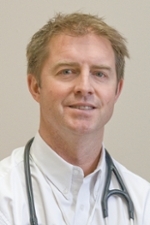 After completing medical school in 1989-1993, Dr. Darryl J. Adamko continued on to specialty training in Pediatrics at the University of Saskatchewan (1989-1997). He then became a Pediatric Pulmonary Specialist with a strong bench research background after training in a Pediatric Pulmonary Fellowship at The Johns Hopkins University in Baltimore, Maryland (1997-2001). He was an Associate Professor of Pediatrics Pediatric Pulmonary Medicine and an Adjunct Associate Professor of Medicine at the University of Alberta since 2001. He is now a Professor at the U of S, and is focused on clinical, research, and educational aspects of pediatric pulmonary diseases. Dr. Adamko’s research focus has been within the field of asthma primarily. He has developed expertise in understanding the mechanisms of virus induced asthma attacks. In addition, he has been studying the mechanisms underlying the development of asthma from infancy. This includes in vitro and in vivo models in humans and animals. In the last nine years, he also has been the lead on team grants developing a novel way to diagnose and monitor patients with asthma using nuclear magnetic resonance analysis of urine. This work has great potential to improve the care for patients with respiratory diseases. Based on this research, he is first author on a patent and Director for a company called Respirlyte. Dr. Adamko is married with two kids (a daughter and a son). He continues to enjoy teaching students in medical school, as well as graduate and postdoctoral students in his lab. He was an AHFMR Clinical Investigator and has had funding through the Sick Kids Foundation, CIHR, ALA, and AllerGen﻿. Slupsky CM, Rankin K, Fu H, Chang D, Rowe BH, Charles P, McGeer A, Low DE, Long R, Kunimoto D, Sawyer M, Fedorak RN, Adamko DJ, Saude E, Shah SL, Marrie TJ. Pneumococcal Pneumonia: Potential for Diagnosis through a Urinary Metabolic Profile. S.Mahadevan, S.L.Shah, C.M.Slupsky, T.J.Marrie, D.J.Adamko. Feature Selection and Classification of Metabolomic Data Using Support Vector Machines. Computer Applications in Biotechnology (CAB), 2006.